Halloween is 12 days away and the kids at school are getting excited. Since I work with children with language impairments, I like to talk about holidays way in advance. It helps them to have models of sentences and vocabulary ahead of time. This way they are ready to chat with their classmates when the holiday rolls around. 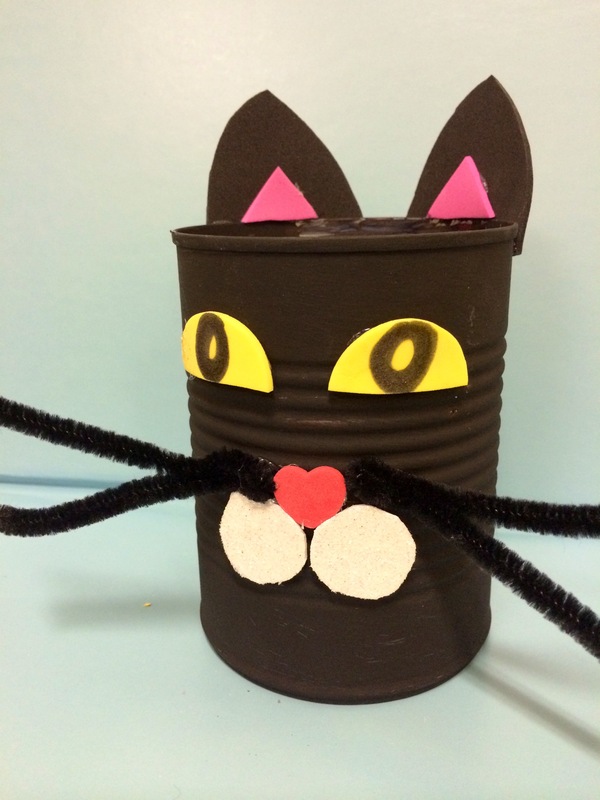 This week we are focusing on Halloween creatures. 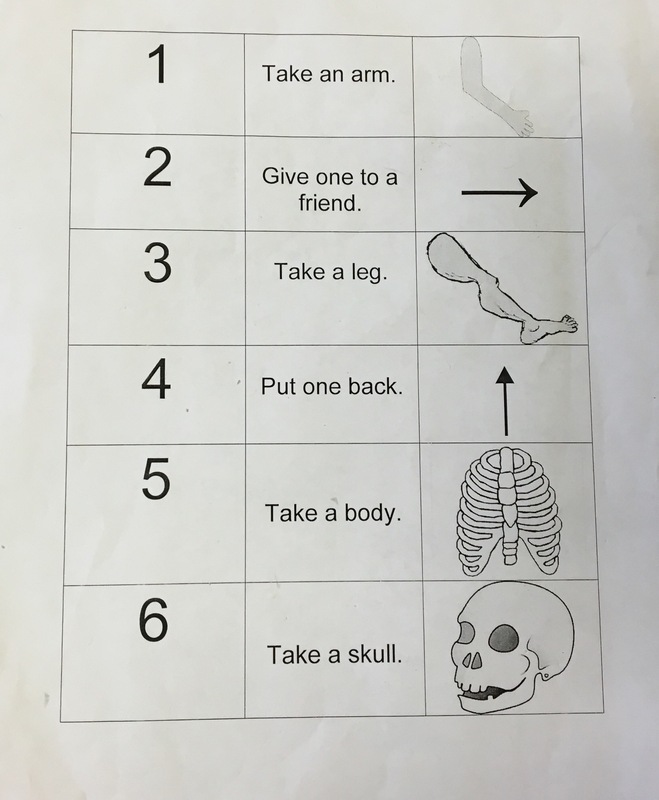 Today, we had fun playing the skeleton game. How to Play: I changed some of the rules from the site to include elements of sharing and being okay with loosing (a skill that is hard for many of my kids). Basically on the child’s turn he/she rolls the dice and follows the directions sheet (seen below). The first one to make a whole skeleton is the winner! 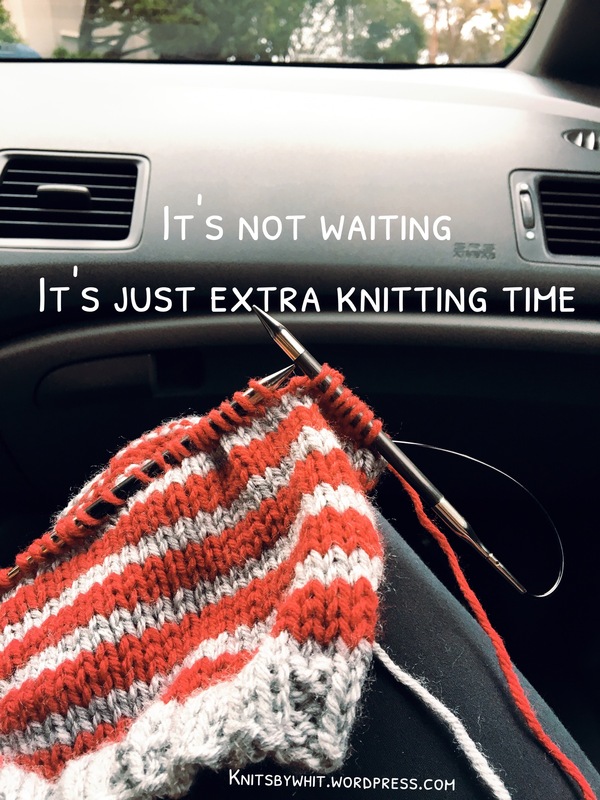 Football games are a great time to get some knitting in. It just so happens that today my knitting coordinated with the 49ers’ uniforms. I made the larger piece ( it was supposed to be a sleeveless top) years ago. I never finished it though. I made a bad yarn choice. I used Caron’s Simply Soft and the mix of the acrylic yarn and yarn weight (worsted) didn’t pan out. The piece would have been too thick to wear during the summer. Don’t get me wrong, it is not that I am an acrylic hater, it is just that acrylic is not a very breathable fabric. So I am making some hats out of it. I am knitting them simultaneously as I unravel the top. 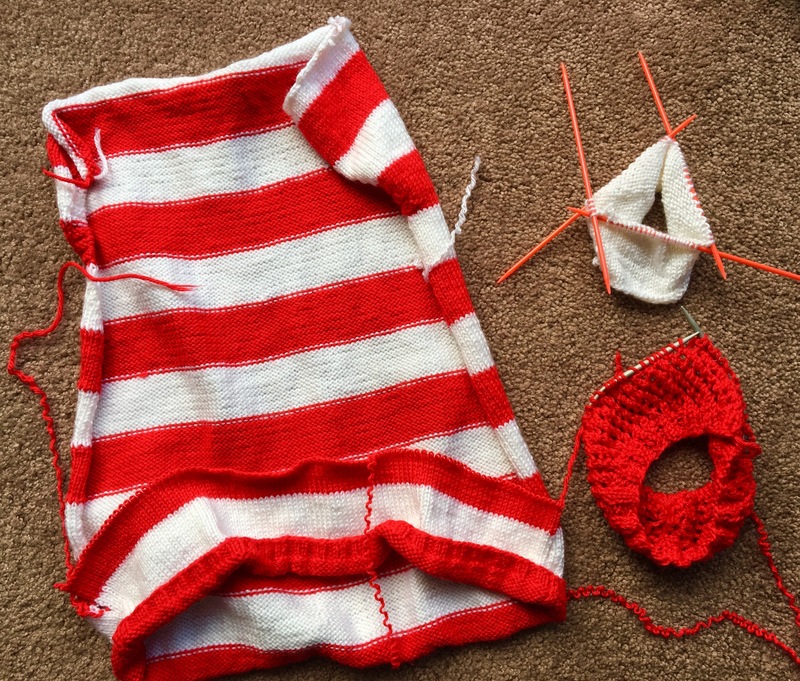 The white hat will be an infant hat and the red a lacy slouch cap. The 49ers won today and hopefully my hats end up winners too! Hi all! 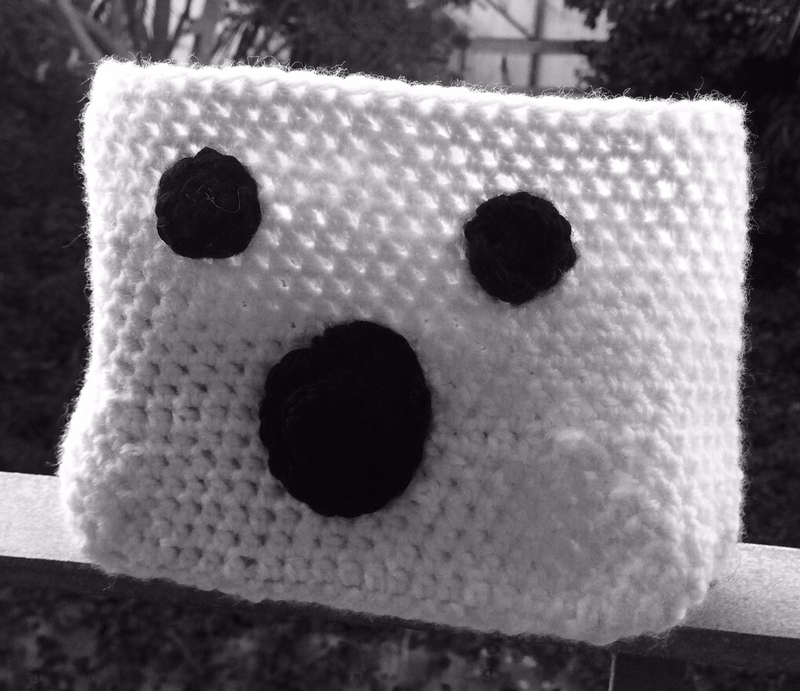 I stumbled upon this Halloween Swap group on Ravelry last month and knew I had to sign up. I love getting things in the mail, especially things that are craft related. 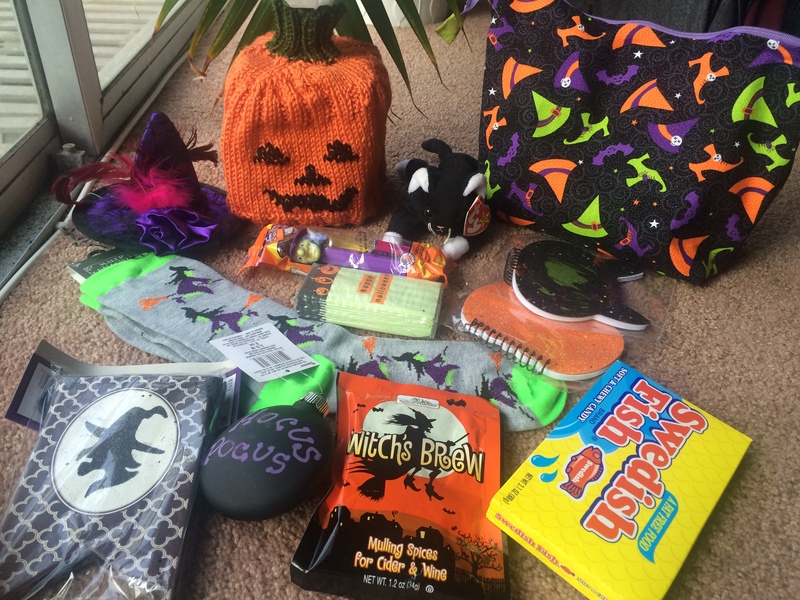 This swap was awesome as everyone’s package must include Halloween decor, a hand-crafted item, something crafty, and something yummy. Thanks to my swap buddy for the great package! I am looking forward to making some witch’s brew ;).